December is here so Christmas is well on it’s way! 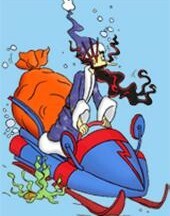 And if you fancy something a bit different to the standard Christmas stories this year then you should definitely check out Quirky Claus by the author Sebastian White. 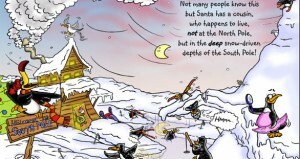 It’s a great book that follows a slightly unusual and naughty Father Christmas on his Christmas delivery route and in his home of the South Pole. In this story, the children who are bad still get presents for Christmas. But they’re not exactly what you’d want in your stocking on Christmas morning. Along with his not-so-trustworthy sidekick Timothy the Toucan, Quirky Claus gives naughty kids anything from a gigantic giraffe to a very angry armadillo! If you like the sound of it you can order Quirky Claus from any good book stores right now! Have you ever got a present from Quirky Claus?